Welcome to the website of The Malt House String Quartet, The Saltarello String Trio and The Waveney String Duo. We are a vibrant and energetic group of musicians based in Norfolk and Suffolk who can bring that special touch of live music to your event. 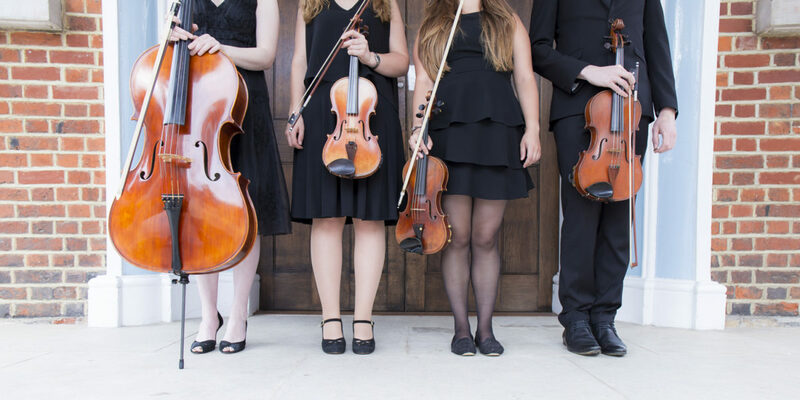 Our experienced ensembles suit any occasion and budget and our extensive and varied repertoire covers many genres from Classical to Pop. Please get in touch for a no obligation quote and chat about your event!